If you’re an airline passenger, automation is your friend — setting aside the fears over its role in the crashes of two Boeing 737 Max planes in the past five months. The gradual spread of automation through the civil aircraft fleet is a primary reason the accident rate worldwide has fallen from about four accidents per million flights in 1977 to less than 0.4 today. Many modern airliners are capable of taking off, flying and landing without any human assistance. Pilots today, as one former pilot puts it, are less stick-and-rudder movers than they are overseers of systems. Automation is not without its own hazards, though. As it has become ubiquitous in cockpits, automation-related accidents have come to make up a significant proportion of all air disasters. Read the full opinion piece, "The Boeing 737 Max and the problems autopilot can't solve," on nytimes.com. 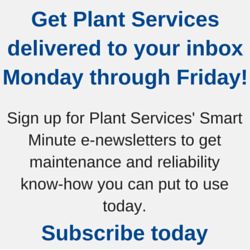 See also: "How to automate safely" and "Don't 'set it and forget it' when it comes to your automation systems" on PlantServices.com.